Title: Let’s Go Fishing! & Let’s Have a Parade! Lana wants to do something exciting, but her family isn’t quite ready to join in on the fun. But with a little imagination from Lana, soon everybody is up and moving along with Lana! 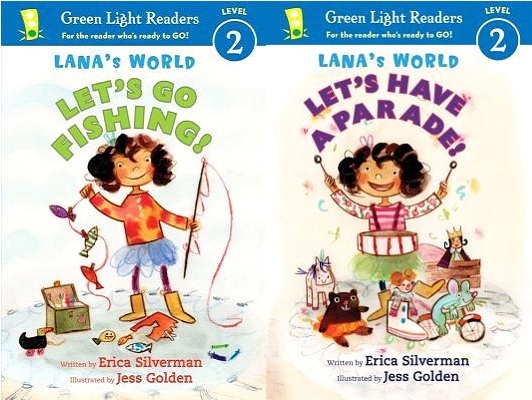 Both of the books follow a formulaic story — Lana wants to go fishing but her family is too busy doing their own things; Lana wants to have a parade but it’s raining and her family doesn’t want to get wet. Formulaic stories in a lot of fiction is frustrating, but not for a beginning reader! The repetitiveness of the story will only help beginning readers to recognize words and build their confidence. The illustrations of Lana and her family are done in watercolors. There no concrete information about what race Lana’s family is and I think that a variety of kids could see themselves in Lana’s family. (I had hoped from the cover that Lana might be a Latina and while she does have a darker skin tone and dark hair, I can’t say for certain that Lana is Latina.) Judge for yourself in the book trailer! As with all Green Light Readers, the Guided Reading level, Reading Recovery level, Interest level are printed on the back on the books. Overall, I think these are good readers to add to a collection and would recommend for purchase. Big Dog and Little Dog are feeling hungry and tired — those are easy problems to fix. But what about when Big Dog starts to feel lonely? What will he do? I love that these dogs are being reissued as readers. 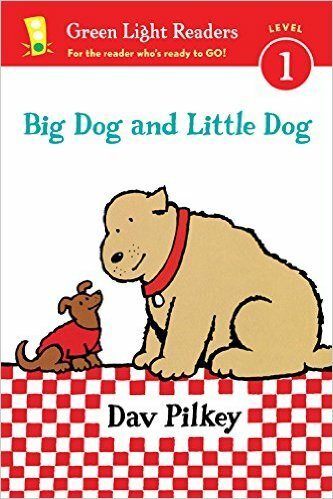 Originally released as picture books between 1997-2003, our library’s one remaining copy of “The Complete Adventures of Big Dog and Little Dog” is in sorry shape. This simple story and repetitive vocabulary have always been great choices for children learning to read and it makes sense to issue beginning reader editions. This release also includes supplemental material: matching game, dog facts, story sequencing, and noun/verb definitions. As always, Green Light Readers makes it easy for parents to find books by providing information on the back of the book regarding level. This book is recommended for ages 4-6, grade K, guided reading level D, reading recovery level 5-6, and Lexile level 240L. Highly recommended for libraries needing to build those low-level beginning readers, libraries who have large populations of dog-lovers, and libraries looking for a great beginning reader series. The first five George and Martha readers written by James Marshall. Each volume has two to three classic George and Martha stories reproduced with smaller illustrations and (from my examination) little to no text changes. The stories vary in length and difficulty — some are incredibly easy for beginning readers and others include words like “flabbergasted”. Accelerated Reader average was 2.03 based on six of the readers. Lexile only had scores available for one reader and it was scored at 470L. I looked at three books and found the following unique word counts: Two Great Friends at 140, Round and Round at 195, and Best of Friends at 177. I’m not sure that these work at the best beginning readers. The humor and laughter from the original stories is there, but the complexity of the words and lack of consistency in the length of the stories may frustrate beginning readers. The original picture books, of course! Doesn’t look like there will be any more George and Martha beginning readers, but that makes sense as author James Marshall passed away in 1992. A higher-level beginning reader series. Mr. Putter & Tabby books are told in multiple chapters that converge into a single storyline. Stories are simplistic and easy to understand: painting the porch, reading a book at the library, having a birthday, going on a boat, etc. The series has a Lexile average of 467L and an Accelerated Reader average of 2.5. Most online resources put Mr. Putter & Tabby at Guided Reading Level J, although none of the books have the rating on the back covers. Make a Wish has 213 unique words and Pour the Tea has 194 unique words. This is a great series for 2nd graders. I am not a cat person. I’m typing this while playing ball with one dog and another one laying at my feet. And yet…there is something so endearing about Mr. Putter and Tabby. I love the universal things they represent — we all want good company and companionship and that’s exactly what Mr. Putter and Tabby are. More Mr. Putter & Tabby? Give fans of Mr. Putter & Tabby either of Cynthia Rylant’s other beginning series: Brownie & Pearl, Henry & Mudge, or Annie & Snowball. The past few years indicate a yearly release, sometime in the fall or winter. These are definitely your upper-end beginning readers, perfect for the kids developing confidence on their own but still feeling overwhelmed by an early chapter series like Magic Treehouse or Junie B. Jones. The book feature integrated text and images, short sentences with building vocabulary, and dialogue. The first book has words that are harder and more complex (thirsty was one that stood out to me), as well as a fair amount of ranching terminology (rope, pasture, cowhorse, etc.) which may require a bit more work for readers unfamiliar with horses. Cowgirl Kate and Cocoa books contain four short chapters, each one tells a complete story. I broke down the first book by chapter: A Story for Cocoa has 101 unique words, The Surprise has 92 unique words, Counting Cows has 101 unique words, and Bedtime in the Barn has 116 unique words. Every book in the series is available on both Lexile and Accelerated Reader: average of 352L and 2.3AR. I think this series is a good choice for readers that have moved on from Henry and Mudge or Elephant and Piggie. The difference here is that Kate and Cocoa’s relationship switches from feisty to caregiving; with both cowgirl and cowhorse taking care of the other at one point or another. The books also work well as a read-aloud, each chapter can be done at a single reading. Bedtime in the Barn would make a particularly timely bedtime story, with the potential to make parents laugh as Cocoa pulls the “I’m hungry”, “I’m thirsty” cards to stay up later. More Cowgirl Kate and Cocoa? 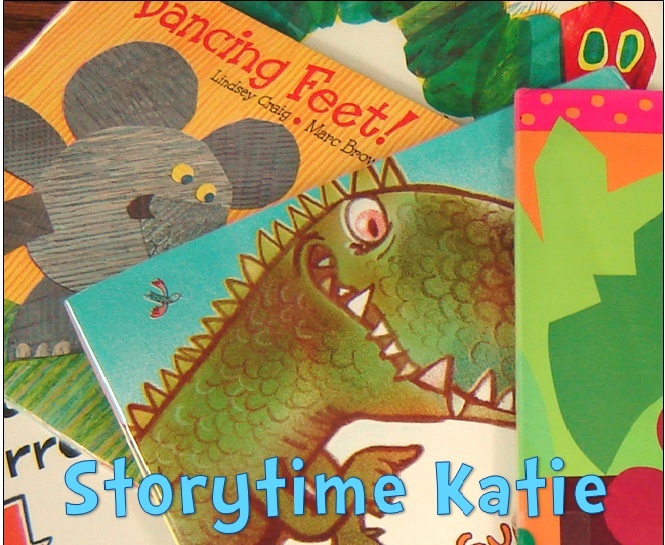 In the last few years, Houghton Mifflin has re-released some of the Cowgirl Kate and Cocoa stories under their Green Light Readers series. Each “new” book contains two stories from the previously released book. Lexile levels are slightly up at 365L based on 4 books and Accelerated Reader is down slightly with 2.2AR based on 2 books. Nothing that I can see on the horizon, though I hope we haven’t seen the last of this dynamic duo.